> Amber - Silver>Silver pendant with amber "Contrasts"
Silver pendant with amber "Contrasts"
The cold glow of silver and cognac amber contrasting duo. Smoothly polished amber plate and embossed silver surface. 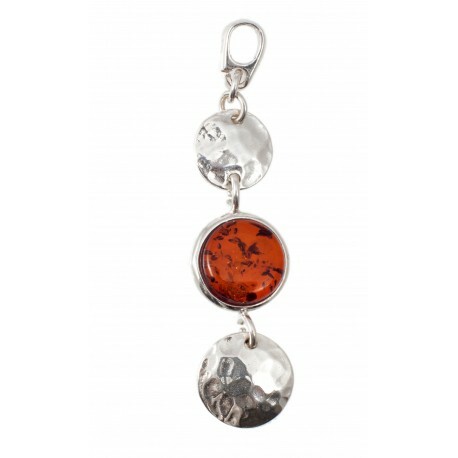 Original and contrast amber-silver pendant.